Bristol's hotels make a great stopover with plenty of choice for all budgets and tastes. Here's a quick taste of the range of hotels UKACP can offer. Do you want the best deals on Bristol Airport hotels? Of course you do! Luckily we have quite a knack at finding the best offers on all things airport related. Here at UKACP we bring you all of the best Bristol Airport hotel offers and we make it easy for you to find the best one for you. Hotel Results How You Want Them! Use our handy search feature to enter all of your details. We will then display all of the suitable options. You can order your results based on a number of different aspects, such as price, star rating, gym, Wi-Fi, room service, parking at the hotel, air conditioning and much more. This makes it easy for you to find a hotel that suits your requirements. 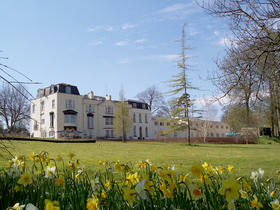 You can also book any extras, such as a Bristol Airport hotel with parking. We make it easy for you to sort out everything you need in one place. Once you find a hotel you are happy with, simply follow a few quick and easy steps to pre-book it. We will email your confirmation and you will save a nice chunk of money in the process. It doesn’t get much better than that! We all deserve a bit of luxury now and again, and the Redwood Hotel and Country Club is the place to provide it. With five tennis courts, a 130-seat cinema, seven squash courts, a sauna and steam room and a selection of indoor and outdoor pools, you will be spoilt for choice. There is just one problem… you’ll not want to leave! 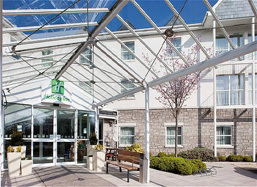 The Holiday Inn Bristol Airport is a popular choice amongst families. The atmosphere is a friendly one and the hotel is clean and comfortable with spacious rooms and free wifi to keep the kids connected via facebook! There is also a dedicated childrens play area with trampoline, climbing frame, slides etc.. Ohh.. and kids eat free! Winford Manor Hotel is a great choice for those looking for a convenient stay. The hotel runs a free transfer bus service every half hour, 24-hours a day. Disabled rooms are available at the likes of Cadbury House, with lifts and a ramp at the entrance. Don't forget that if you decide not to stay in a hotel the night before you fly you can still save money on our Bristol airport parking packages. We will always save you anything from 15 to 60% compared to the car park gate price.